Have you ever wanted a big dollhouse which you can decorate your way? 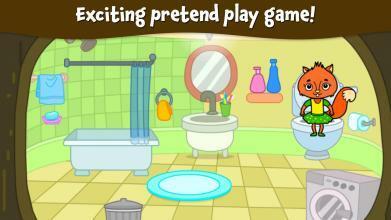 Come and play with Animal Town: My Squirrel Home - an interactive pretend play game! Your squirrel friends and family are waiting for you in your imaginative dollhouse. Join them and see what's inside different rooms. There are wonderful surprises waiting for you! You can experience a lot of things in this app like: * 4+ Different Rooms: There are 4+ different rooms that you can share with your squirrel friends and family. 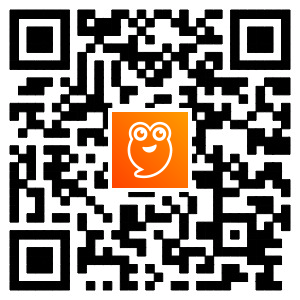 Take a look around and play on each floor! * Living Room: Your living room is cozy and beautifully decorated. Invite everyone and have a tea party. 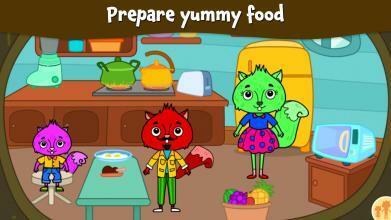 * Kitchen: The refrigerator is loaded with some yummy food! Cook some delicious food for yourself and feed everybody else too! * Bedroom: After a long tiring day, you need to take some rest. Put on your comfy clothes and have a good night's sleep. * Touch and Move Everything: Touch, drag, interact, and use your creativity while you play in your huge Squirrel House! It's going to be a lot of fun! 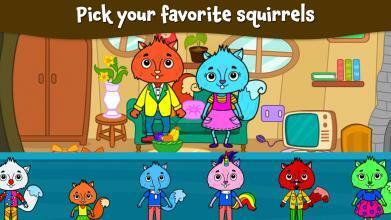 Key features: * 9 awesome squirrel friends & family members to play with! * Perfect for curious kids of ages 3-8. * Full of exciting surprises and interactions! * 4+ floors of pretend play fun. Lots to play! * No annoying ads or pop-ups. Completely safe for kids. * No internet connection required. Play offline! Perfect for travel days. * No in-app purchases. 100% free! Your virtual family awaits you in your dollhouse. Show your creative streak, create your own story and play pretend! Download now!